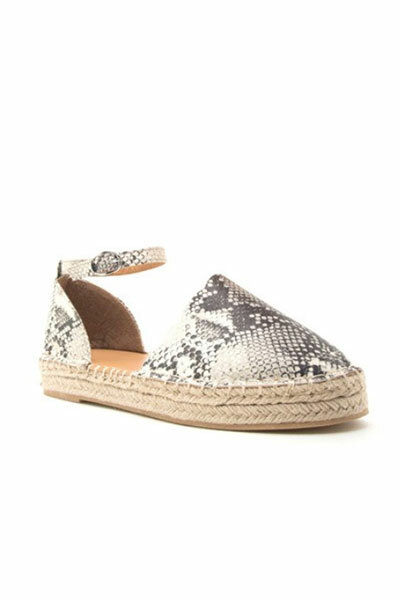 Casual espadrille platform flats. Closed toe. Scallop detailing along the edge. 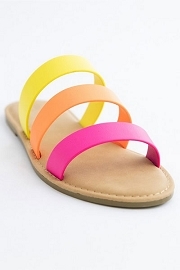 Thin ankle strap with buckle closure. 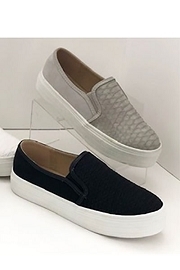 Flat low platform espadrille sole completes the look. Exposed edge stitching. Finished off with a gorgeous python snake print. 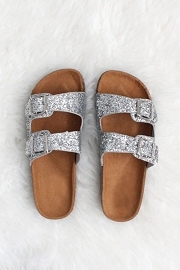 The perfect summer shoe that's sure to draw lots of attention!